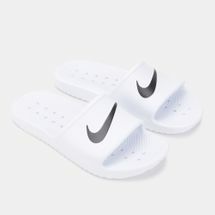 The best option to relax and unwind in, sandals and flip flops have truly become the most coveted choice of footwear to get through the sweltering Saudi summer. 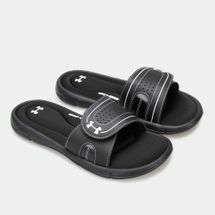 With designer brands churning out incredible designs matching every occasion, get your favorite pair today by browsing through our expansive collection available right here at Sun & Sand Sports. 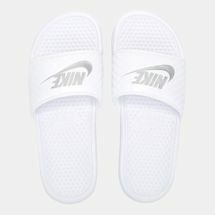 The name of the footwear came to be known as slides as you slide your feet into them for a completely relaxing fit. 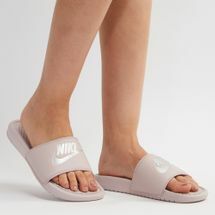 Commonly with toes and ankles exposed, the thick upper connects to the sole to cover your instep as you go about your day comfortably. 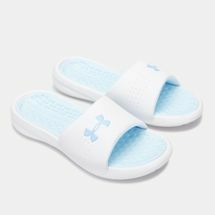 Dubbed as a street-style staple, you can spruce up your sandals and flip flops by choosing from a variety of modern prints and bright colours which will complement your outfit perfectly. 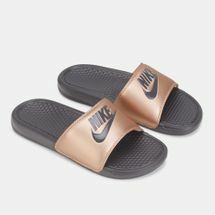 Tweaking your formal outfits to give off an intentionally effortless vibe, a pair of sandals or flip flops from our online collection will be the perfect way to give your feet absolute luxury while keeping your ensemble totally fashion forward. 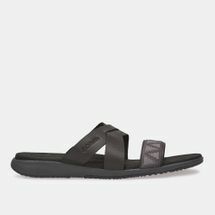 Grab the best sandals of the season right off the Sun & Sand Sports exclusive range by shopping with us today. 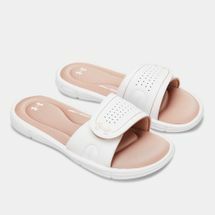 Perfect for your sporty activities or helping you play it chic on your daily 9 to 5, a pair of slides is a must-have for the modern woman. Get clicking and book yours today by quickly finishing off the secure payment process from the comfort of your home. Offering shipping to all our valued customers with no added cost, we take pride in delivering your purchased items right to you anywhere in Riyadh, Jeddah and across KSA.